Every January, we vow to treat ourselves better, whether it’s committing to a weekly hike or calling mom and dad more often. When it comes to your skin, though, it might feel like there’s not much else you can do if you’re already dedicated to your daily at-home ritual and regularly seeing your facialist (and if you’re not, start now—here’s why!). But there is something you’re probably not already doing for your skin: on top of feeding your skin from outside in, you can begin feeding it from inside out. It’s a lifestyle change that will bestow visible benefits for your skin as well as all other aspects of your life. Your skin is your largest organ but one of the last to receive nutrients, so being mindful of what you put in your body is key. It’s no coincidence that when you focus on eating lots of nutrient-rich foods you soon experience smooth, glowing skin, while a decadent vacation might leave your complexion dull and broken out. Whether you’re already healthy or still need a little help getting skin-friendly foods into your system, your outer shell can always use a little boost. Enter our YANA™ Daily Collagen Shots. YANA™ is a liquid beauty supplement that adds an extra high-concentrated dose of skin-targeting nutrients to your daily food regimen. Formulated with bioactive collagen peptides shown to increase firmness, reduce wrinkle depth and restore hydration, along with ceramides, antioxidants and vitamins that contribute to skin’s healthy appearance, YANA™ keeps your skin at its peak and is the perfect complement to your topical treatments. The delicious supplement has been clinically proven to increase skin elasticity and moisture, all without GMOs, sugar, gluten, dairy and soy. 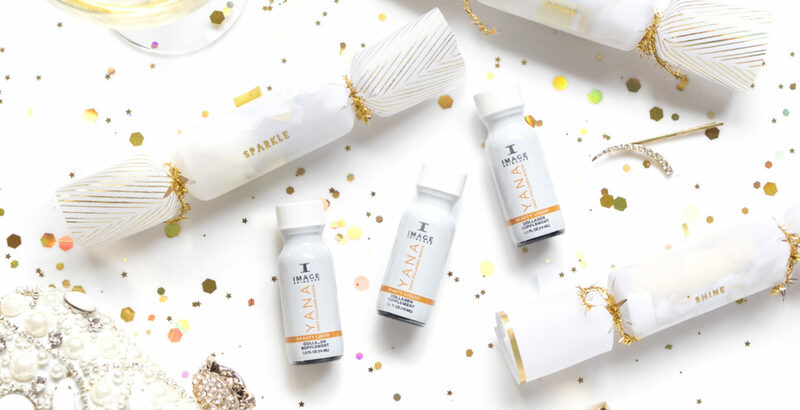 Why does YANA™ focus on collagen? After the age of 25, we begin losing this essential protein—responsible for skin bounciness, firmness and tautness—at a rate of 1% per year. This means the average person has lost almost half of the collagen in their skin by the age of 50! YANA’s highly effective peptides slow the loss of collagen while simultaneously increasing the body’s natural ability to produce more. In clinical studies, this bioavailable form of collagen has been shown to reduce wrinkle volume, increase elasticity and boost the skin’s hydration levels in as little as one week. The unique blend of hyaluronic acid, green tea leaf extract, organic acai juice and organic pomegranate extract in YANA™ offer a super antioxidant complex that supports skin strength and hydration while preventing DNA damage caused by free radicals. Pyridoxine, a unique form of Vitamin B6 found in YANA’s proprietary blend, helps maintain the condition of the skin by combating the damaging effects of protein degradation involved in normal aging. These essential lipids support the skin’s cellular matrix, contributing to increased firmness and hydration. The queen of brightening, vitamin C is vital for healthy collagen production, which helps maintain uplifted, tighter skin. We may be preaching to the choir, but we’ll say it again and again: eating fresh, organic whole foods, particularly vegetables and fruits, works wonders for a luminous complexion. Here are some foods particularly great for skin to incorporate more into your daily diet. It’s quite well documented that healthy fats can help in a variety of ways: calming inflammation, reinforcing the skin barrier, moisturizing skin and stimulating collagen production. Eat more wild salmon, sardines, avocados and walnuts. The best part is you can easily combine all these foods together in a salad or wrap to nourish your skin every day. Along with YANA™ Daily Collagen Shots, your skin will see elevated radiance this year. Happy New Year and Happy New Skin!